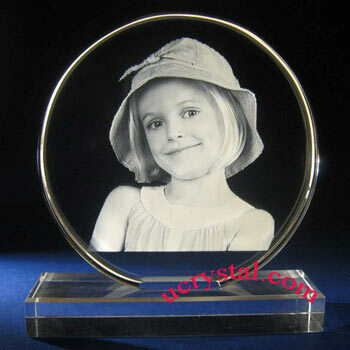 Presidential facet circle custom engraved crystal plaque award. 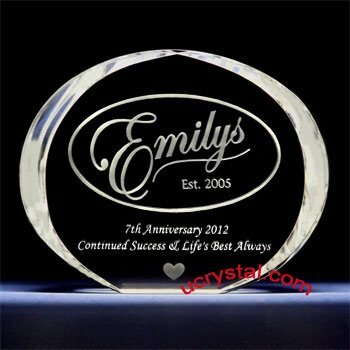 This presidential facet circle custom engraved crystal award is enhanced with a multi facets bevel edge. 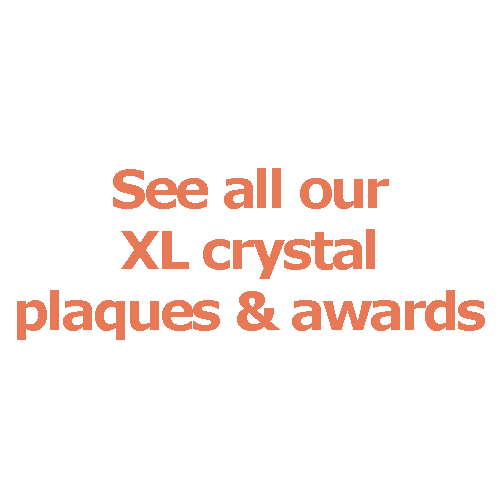 This multi facet circle crystal award is the perfect way to show someone special and how much you appreciate their contributions to your organization. 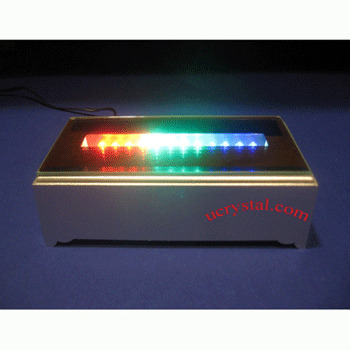 It can be personalized for free with your text, logo and/or the employee photo. 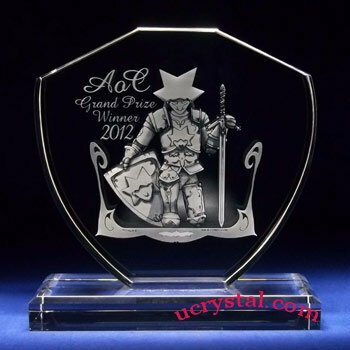 This stylish crystal award will surely bring happy surprises and tears to the deserved ones. 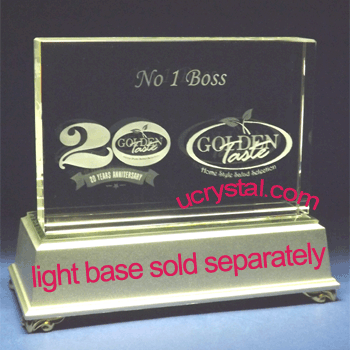 Order one today to show your acknowledgement and appreciation of the key employees that made your company successful. 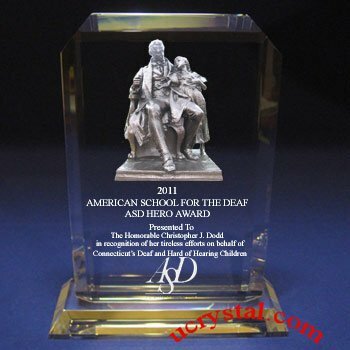 Or use it to advertise your important products like what St. Jude Medical did. The president may be retired but we will always remember his contributions and leadership for the past eight years. 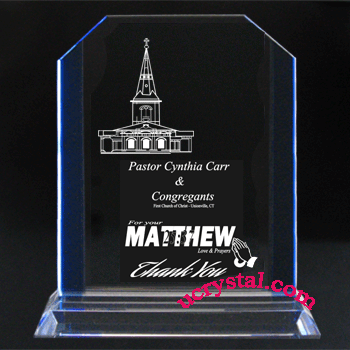 We have beautiful LED light bases available to enhance the visual effects of your custom engraved crystal plaques and awards. 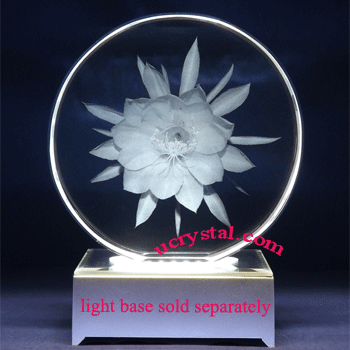 Presidential, round, multi-facets with firmly attached crystal base (doesn't come with light). 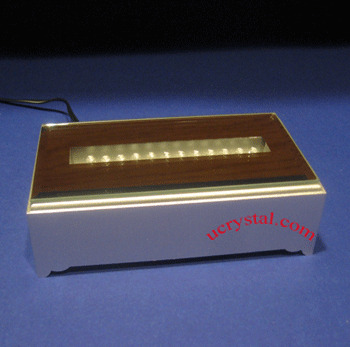 Size: 6” width x 6-1/2” height x 3/4” thickness. (height includes base).